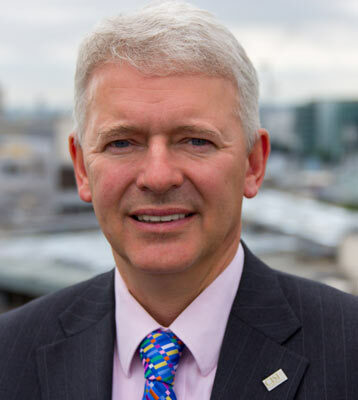 The CISI welcomes the final report by Sir Richard Lambert on Professional Standards and the creation of a Banking Standards Review Council (BSRC) which will focus on conduct. We applaud the encouragement for individuals to take professional qualifications at all levels, and the focus on continuing professional development (CPD). The Institute defines professionalism as a combination of knowledge, skills and behaviour, and Sir Richard encourages banks to be more active in all three areas. The litmus test of whether this will work will be when the public can clearly see a tangible change. Recent research by the CISI involving more than 1,000 bankers suggests it will take at least five years before the tone at the top trickles through to the tone at the till. The Institute particularly welcomes the recognition by Sir Richard of the role that professional bodies can and should play in raising standards of competence and behaviour in banks across the spectrum from retail, to wealth, to wholesale. The CISI supports the BSRC’s focus on encouraging the banks to make a step change in recognising and promoting the value of professionalism and publicly reporting how it is doing so, such as the percentage of staff completing their professional qualifications and annual CPD. The CISI will be replying positively to the invitation to work closely with the BSRC and applauds the initiative to have common standards between professional bodies, similar to the Engineering Council. We do, however, have two concerns. As Sir Richard’s review has no legislative force, it is entirely voluntary and we see very few of the major international banks signing up to the report. The Banks now have the opportunity to demonstrate that they have changed and the public will be watching their response to this report closely. The agreement of the Bank of England Governor Mark Carney to lead an independent panel to appoint the chairman of the BSRC augurs well for this. It would be a missed opportunity if these reforms are applied solely to UK retail rather than, as intended, the whole banking sector, especially as it was the LIBOR fixing crisis originating in the capital markets that led first to the Parliamentary Commission on Banking Standards and then to Sir Richard’s review. Sir Richard has made a good start, but we believe he could have been bolder and pushed more strongly for individuals to belong to and adhere to the standards required by membership of a relevant professional body, which the BSRC could accredit. This would give the public greater confidence that independent bodies were heavily involved in raising standards of integrity, rather than just the banks.